My name is Michael Arnowitt. I am a pianist, 45 years old, from Vermont in the USA. This European tour during the month of February 2008 will be the seventh occasion I have performed in Europe. We plan to be both in western Europe and also in central and eastern Europe (Czech Republic, Hungary, and Ukraine). the links to the right. To hear mp3 sound samples, click here. The music J.S. Bach created in the 1700’s has cast a long shadow on all successive generations of composers. 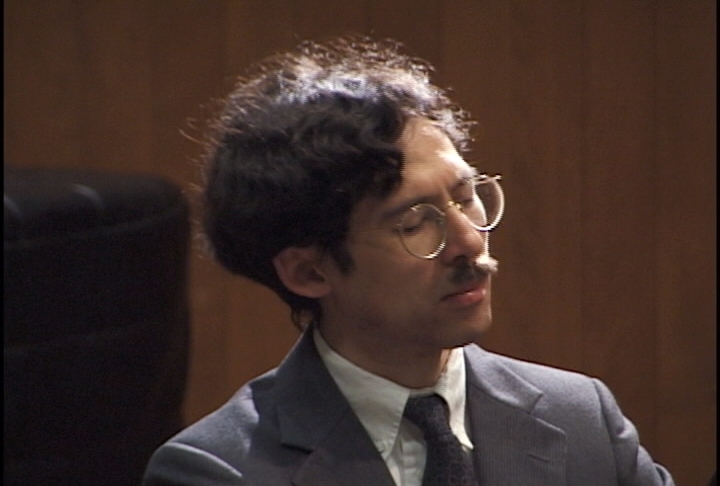 Michael Arnowitt performs on this tour Bach’s Trio Sonata no. 4 in E minor, a remarkable piece featuring all of Bach’s greatest styles—from his uniquely personal way of projecting drama heard in the first movement, to the second movement’s lyrical, intricately interwoven melodic duet, to the sturdy and joyous dance music of the finale. The pianist and composer Ferruccio Busoni wrote near the end of his life seven Short Pieces for the Cultivation of Polyphonic Playing, music influenced in particular by Bach’s organ music textures, yet the baroque figurations are imaginatively blended with a high degree of romantic fantasy, and even some Orientalism. Busoni’s music is a bridge looking both backwards to Bach and Mozart, and forwards to the twentieth century to come. On this tour, Michael Arnowitt offers a diverse collection of music from his country of America. Earlier times are represented by music from the classic piano sonatas of Aaron Copland and Samuel Barber, both composers who tried to walk a middle line between continuing European traditions in classical music and creating something completely different in style reflecting America’s rhythmic energy. 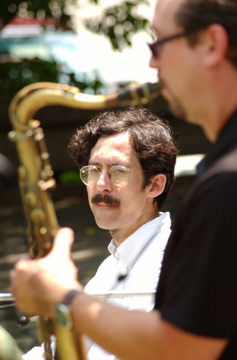 Current American music is also featured in Michael Arnowitt’s tour repertoire. Joan Tower, from the New York area, is a composer of strong and powerful music. Her “Throbbing Still” is part of a set of four pieces all titled from lines of the celebrated American poet John Ashbery’s work No Longer Very Clear. The music, composed in 2000, is energetic and shows the influence of Stravinsky (“Le Sacre du Printemps”) and the South American Inca rhythms the composer heard when her family moved to Bolivia when she was nine. A new piece by the noted American composer, radio and internet personality Dennis Báthory-Kitsz will receive its world premiere on this tour. Finally, from Europe itself, Michael Arnowitt plays some of his favorite music composed in recent years. György Ligeti’s colorful piano études, which Arnowitt considers to be the finest piano music of the entire twentieth century, show a wide variety of influences, from the composer’s interest in topology, fractals and the pattern of waves of water to African folk drumming, the paintings of Cézanne, and jazz pianists Thelonius Monk and Bill Evans. 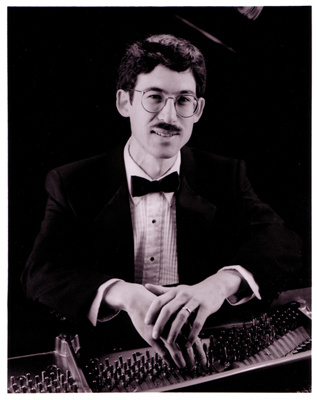 Peter Feuchtwanger, an English composer, has written many fascinating piano pieces in the second half of the twentieth century based on Indian, Middle Eastern, and eastern European traditions. In his Study no. 4—Tariqa 1 the piano evokes the sound of Iranian music and its instrument called the santur. The Russian composer Nikolai Kapustin’s music is a fusion of jazz and classical elements, with much humor in its use of the extreme bass area of the piano, and in surprise shifts of time signatures. 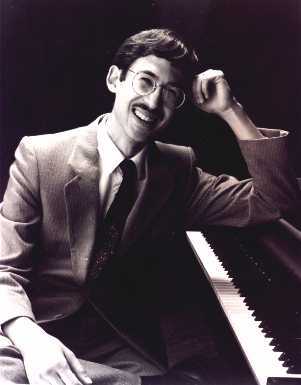 Naturally with Michael Arnowitt’s twin interests in both classical and jazz, Kapustin’s compositions are especially fun for him to play. John McKenna in action at an outdoor concert. I am really excited to tour Europe with this fantastic quartet of American jazz musicians. Tenor saxophonist John McKenna has a strong, sonorous and expressive tone which brings you right into that beautiful, warm sound-world unique to the tenor saxophone. Mr. McKenna was a student of the celebrated American saxophonist Joe Lovano, and many musicians have heard in his sound and musical ideas the influences of John Coltrane and Stan Getz. John McKenna’s style is a perfect fit for the way I like to improvise, and quite simply he is the finest jazz musician I’ve ever played with. On the upright bass, we have the veteran talents of Anthony Santor, who has a wonderful sense of swing and is comfortable in a wide variety of jazz styles, from straight-ahead to free improvisation. Our drummer Mitch Gordon has throughout his life played a fascinating variety of musical roles, from managing large concert halls and symphony orchestras to playing drums in jazz groups and big bands. His most recent interest is hand-drumming traditions in Jewish music. He also leads workshops teaching large corporations better interpersonal relations through the metaphor of a jazz combo. The name of the group, The ImproVisions Jazz Quartet, Arnowitt says, “is meant to evoke how a jazz group, while improvising, takes the listeners on interesting explorations to musical lands of new sounds. Our instruments take our visions, which begin internally in our bodies, and transform them into physical sounds, projecting them through the air for all to hear”. The musicians in our quartet have an interesting mixture of cultural and musical backgrounds. Jazz was born in America, and the sound of our quartet will naturally have an American element, but jazz has now become an international art form, embraced by the entire world. In a way, this tour is a cultural exchange: we wish to share our musical creations with Europe, while at the same time, we hope to hear some European jazz and learn more about what new sounds improvisational musicians are developing in Europe. You can read my full jazz biography (and more about our saxophonist John McKenna) by clicking here. We play jazz standards, a special programme devoted to the music of Bill Evans, and original compositions written by myself and John McKenna. Normally we would present a mixture of styles over the course of an evening, but we can focus on one of these three general jazz styles if the presenter has a preference. You can look at my personal tune list (list of tunes I most like to play as a pianist) by clicking here. Some of our favorite jazz composers from past and present are: Cole Porter, Jerome Kern, Clifford Brown, Miles Davis, Wayne Shorter, Bill Evans, Herbie Hancock, Michel LeGrand, Billy Childs, and Joe Henderson. To read short descriptions of these tunes, please click here.